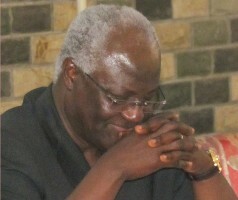 HomeEditorialHas president Koroma’s agenda failed? September 11, 2013 Abdul Rashid Thomas Editorial Comments Off on Has president Koroma’s agenda failed? Despite intense attempts by ministers and media handlers of the Koroma government to present Sierra Leone as a country that is fast moving forward economically, the reality on the ground proves otherwise. Poverty is rising as joblessness and falling standards of living continue to inflict pain on communities across the country. And as Mohamed C. Bah of Atlanta, Georgia, USA, writes in his latest analysis of events in Sierra Leone, president Koroma has very little to be proud about, after five years in office. Change comes with an agenda, but how can Sierra Leone change if there was “no agenda for change” in the first place. Is change defined by what we intend to do or what has been done? Does change means what is on the President’s “to do list” on his desk at State House? Many genuine thinking Sierra Leoneans are disappointed with the Koroma administration’s implementation of its change strategy over the past six years. Change has been minimal and the lives of our citizens are deplorable. Youth unemployment, good governance, Peace building, education, energy, water resources, health care and road infrastructure are some of the issues mentioned in the Agenda for Change launched in 2007 by the Koroma administration. Where are we after six years of implementing his Agenda for Change? Has the agenda for change brought prosperity only to the public servants who initiated this political jargon? Are we as a nation better off today than we were in 2007? After one term in office and now at the start of his second term, the people of Sierra Leone are beginning to realize that the President and his APC team have not met the demands and expectations of the people. 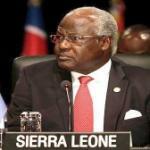 Many Sierra Leoneans love and admire President Koroma. His likability has even given Sierra Leone a new credibility with an enviable prestige internationally. In fact, peace building is a key strength of President Koroma’s leadership. We, as a nation, have enjoyed sustainable peace and security because of the steady hands of President Koroma. The “no-revenge” attitude he has demonstrated while respecting the human rights of every citizen and encouraging press freedom, are some positive marks we can attribute to his modest leadership. The international community has come to embrace the political astuteness and sensibility he has applied across the country and the sub-region. But his agenda for change has not brought prosperity to the people of Sierra Leone, though some of the ruling APC party loyalists may have benefited from their political investments. Political opposition in Sierra Leone is virtually non-existence. The Sierra Leone People’s Party (SLPP) has lost its legitimacy and relevance as an effective opposition party. The SLPP party leaders are consumed with political battles that seem unending. While former leading Presidential candidate Maada Bio and others are mentally intoxicated with the narcissistic attitude of what their party can do for them, instead of what they can do for Sierra Leone, the SLPP is being held hostage against the possibility of winning future elections. Today, it is difficult for patriotic minded citizens to point out lapses, weaknesses and even solutions to ameliorating the hopeless circumstances of our citizens in Sierra Leone. Everything in Sierra Leone is guided by political calculations to the extent that it’s more about what makes politicians happy than what is best for Sierra Leone. Rightly so, President Koroma must be criticized for doing too little in addressing the deteriorating electricity situation, the joblessness among youths, poor access to better education, a dysfunctional health care system and the generally deplorable road system that needs billions of Leones of investments. The government of President Koroma has had six good years to turn things around and like his predecessors – cannot facilitate the basic changes that will improve the social and economic well being of Sierra Leoneans. We cannot construct a few roads and boast of national development. The question we need to ask is not how many roads that are under construction, but how many roads have been completed. We know that Sierra Leone and many sub-Saharan countries are famously known for spearheading uncompleted infrastructural projects. And if we should honestly assess how many roads have been constructed against those that are still under construction within the time frame set by President’s Koroma’s 2007 agenda for change, the percentage will be too small to statistically determine the impact on the country’s economic growth levels. Clearly, more needs to be done if we are seeking to build a future of abundance and prosperity for our people. Furthermore, given that Sierra Leone is still a fragile low income country, we need about $378 million dollars to cover the funding gap on infrastructure or about 15% of our national GDP. Sierra Leone’s interconnected road networks are not in maintainable condition. Of the 11,999 kilometres of primary, secondary and tertiary roads, only 8% or 951 kilometres of roads are paved in Sierra Leone. And just 21% of the rural population live within 2 kilometres of an all season road. 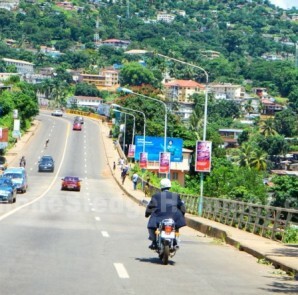 It will take Sierra Leone at least 15 years to reconstruct its road networks at the current spending level of $9 million per year. ( source: Sierra Leone’s infrastructure –World Bank- WPS5713). Another nexus of the agenda for change is the health sector. The healthcare sector is in shambles. 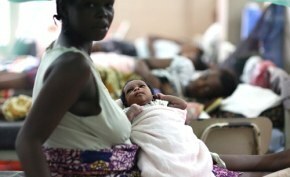 If we cannot account for donor money that were used to finance the free health care for children under five years and lactating mothers, or provide the data about the sharp decline of infant and maternal mortality rates among developing countries, why should we believe that the Koroma government is improving the health care needs of the people? How many doctors are we graduating and what is the reduction rate of malaria infection or cardio-vascular disease in the country? With the funding Sierra Leone received from donor partners, where is our sustainability plan to keep our children and pregnant mothers alive? We need more investment in medical resources, better medical schools, the construction of new modern hospitals and a national goal of reducing malaria and other tropical diseases. Also, access to an affordable quality health care and a free insurance plan for low income families, should be a national strategy the government must pursue. An agenda for change should be an energy sustainable Sierra Leone, where majority of the people have access to electricity. The Bumbuna project is a hoax. We should abandon the so-called thermal energy and focus on building an energy network of solar power, purchasing power from hydro-developed countries like Ivory Coast, developing inter district level hydro power system and even exploring wind turbine energy. 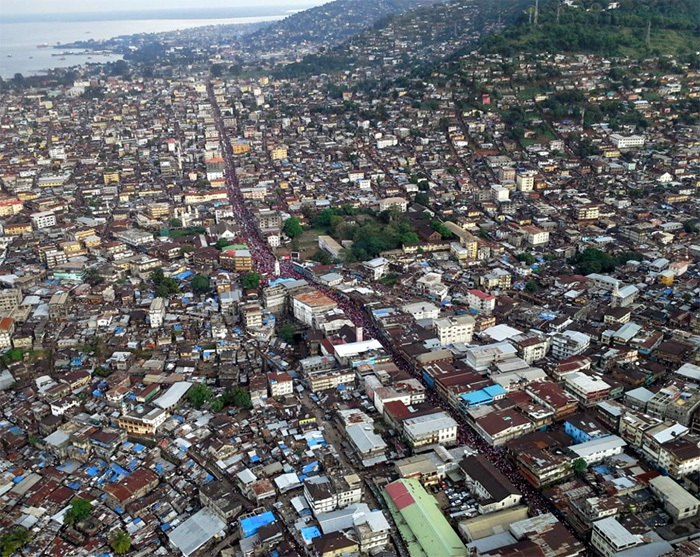 When half of the city of Freetown enjoys electricity and the other part of the city is without – the agenda for change becomes a failed proposition. Besides, Freetown is not only Sierra Leone. What about Kono district, Pujehun, Kambia and many other districts across the country? There has been no noticeable change in education standards in Sierra Leone. Millions of our citizens continue to go to school hungry and some cannot even afford to pay school fees. The educational agenda is more about propaganda, than the success rate for the Basic Education Certificate Examination (BECE) or the West African Examinations Council (WAEC) programs. Many graduates from FBC come back to society unable to find a job while aspiring students struggle to learn and earn a degree. The existing colleges and university system lack resources, while teachers and lecturers are fighting for their daily survival. A good educational agenda starts with providing free education to children from the age of 6 to 18 years, rebuilding our college system and equipping them with modern technology: from access to computers and the internet to reforming the educational codes, and putting more emphasis on vocational and technical institutions. Educational development should not be cosmetic – painting old buildings and reading long speeches about what government intends to do. It is about utilizing the mineral resources of the state to empower young people by investing in their future. Without education, Sierra Leone cannot develop the human capital that is so paramount to economic growth, development and stability. And the lack of quality education leaves our youths insufficiently skilled to compete in the labour market or our national economy. Another agenda for change is the improvement of our water supply. Sierra Leone accounts for one of the highest rainfalls in Africa. Since the construction of the Guma Valley – no other serious water supply infrastructure has been constructed in the country. We need to develop the Orugu dam to produce an additional 75 million litres of water a day, which will supply mostly the eastern part of Freetown. The existing Guma valley which hardly produces the expected 83 million litres of water per day due to maintenance and ageing machines needs to be rehabilitated and expanded to accommodate the growing consumption of the urban population. The problem of clean, safe and accessible drinking water in Sierra Leone is not about scarcity. It is about poor management and the lack of infrastructural distribution system. We must expand water access to all the districts and towns across the country. We need a national plan with an implementation strategy to build a water supply infrastructure – not a propaganda campaign of few government projects that have less impact on the social and economic lives of our people. Without an agenda for change there will be no agenda for prosperity. The words “change” and “prosperity” are uplifting, but more work needs to be done to achieve such a monumental goal. The reality hinges on what is right – not what people would like to hear. President Koroma still has the opportunity to make a meaningful change, if he chooses to leave a legacy by thinking big and completing projects that will significantly make a national difference. Long before President Koroma leaves office: the people of Sierra Leone will come to realize that reality is the mother of truth. It is never about the poetic beauty of the political jargon like ‘the agenda for change” and “the agenda for prosperity”, it is the translated results of what was done and how lives were impacted. And development is not an APC or SLPP, PMDC or PDP slogan; it is a Sierra Leonean goal. At the end of the day, it is what everybody wants: lower youth unemployment, good governance culture, sustainable and secured peace, good quality education for our children, reliable energy system, and improved access to water resources, a better health care system with good road infrastructure. These are the true hallmarks of the agenda for change. Tomorrow, we will realize that the real agenda for change was the absolute truth that: change itself did not take place in the beautiful country that we all love- Sierra Leone. For the past six years, history has recorded what happened, that: the people of Sierra Leone have been robbed of the opportunity to fulfil their dream of living in a nation where adequate water supply, good schools, better road network, decent hospitals, and jobs to earn income and support their families are basic human rights.